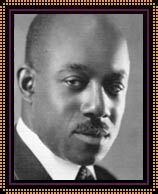 Eubie Blake grew up to the sounds of ragtime music. There was also one enormous hit, “I’m Just Wild About Harry,” which became popular at the time for artists such as Marion Harris, Ray Miller, and Paul Whiteman, among others, and gave a boost to Harry S. Truman’s election campaign in 1948. Blake contributed to other Broadway musicals and revues such as “Elsie,” Andre Charlot’s “Revue of 1924,” and Lew Leslie’s “Blackbirds of 1930.” For the latter, he and Andy Razaf wrote “Baby Mine,” “That Lindy Hop,” “My Handy Man Ain’t Handy No More,” and another substantial hit, the lovely reflective ballad “Memories of You.” After one more Broadway musical, “Swing It” (1937), Blake reunited with Sissle for a time, and then spent much of World War II entertaining troops with the USO. In the ’50s Blake demonstrated and lectured on ragtime, but his day seemed to be past. Then, in 1969, at the age of 86, Blake’s fortunes were revived when John Hammond recorded the old man playing piano and talking about his life. The concurrent vogue for ragtime helped his comeback and the next years were filled with honors, recordings, concerts, festivals, and television appearances; in 1978, his life and music were celebrated in a Broadway show, “Eubie,” which was also televised in the USA and later staged in London. In 1983 Blake contributed to the lists of favorite quotations when, on the occasion of his 100th birthday, he said: “If I’d known I was going to live this long, I would’ve taken better care of myself.” He died five days later. REMINISCING WITH SISSLE AND BLAKE, Robert Kimball and William Bolcom. EUBIE BLAKE: KEYS OF MEMORY, Lawrence T. Carter.